THE Commandant General of the Nigerian Security and Civil Defence Corps, NSCDC, Alhaji Abdullahi Gana, has ordered a crackdown on illegal private guard companies across the country. Gana said the move was a security measure to curb the proliferation of illegal private guard companies. Consequently, he has directed that a Joint Task Force (JTF) be constituted between the Corps and state chapters of the Association of Licensed Private Security Practitioners of Nigeria (ALPSPN). 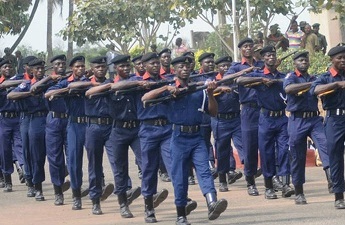 Ondo State Commandant of the NSCDC, Pedro Awili Ideba, disclosed this in Akure while inaugurating the JTF. A statement by the state Command spokesperson, Oladapo Samuel, said that the rate at which illegal private guard companies were springing up was worrisome. He said that the situation was a threat to national security. Responding, the Chairman of ALPSPN in the state, Mr. Akinbileje Matthew, said the association will partner with NSCDC for the smooth and easy enforcement of the JTF mandate. The Senior Special Assistant to Governor Akeredolu on Security, Prince Tunde Akande, said the state government is committed to securing lives and property in the state.